An on/off valve is the fluid equivalent of an electrical switch: a device that either allows unimpeded flow or acts to prevent flow altogether. 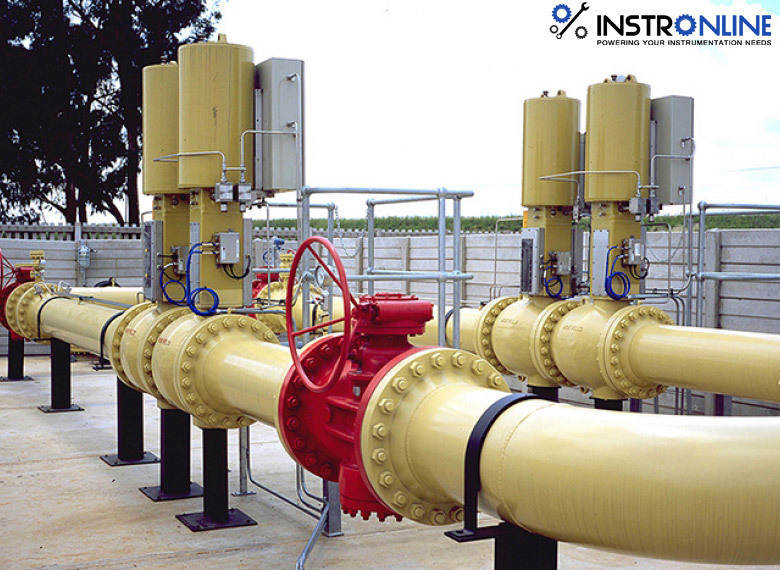 These valves are often used for routing process fluid to different locations, starting and stopping batch processes, and engaging automated safety (shutdown) functions. A plug valve is very much like a ball valve, the difference being the shape of the rotating element. Rather than a spherical ball, the plug valve uses a truncated cone as the rotary element, a slot cut through the cone serving as the passageway for fluid. The conical shape of a plug valve’s rotating element allows it to wedge tightly into the “closed” (shut) position for exceptional sealing. The left-hand image shows the valve in the shut position, with the bore axis facing the viewer (preventing fluid flow). The right-hand image shows the valve in the open position, with the bore axis perpendicular to view and allowing flow. The middle image shows the valve in a partially-open condition.